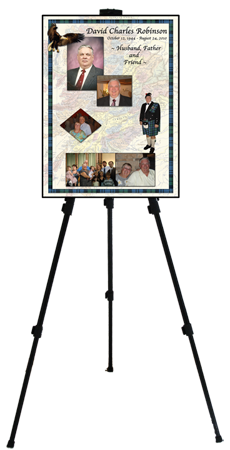 Share the memories of your loved one with an 18 x 24 framed, pictorial memoir. After your consultation, the special qualities of your loved one will be expressed through your photos and words. This can be delivered (if in El Paso County, CO), or shipped, accompanied with an easel for display.